Remember your age before you click "buy now"
The Internet is awash with websites which tempt you to part with your money. Some, of course, are legitimate and are merely using persuasion techniques to sell you their wares. Others are downright immoral, suggesting you’ll become a millionaire overnight if only you were to part with some of your cash. Some, of course, are actually fraudulent, breaking the law but hiding behind a myriad of proxies so no-one can really get to the perpetrators. Spotting the frauds is not always easy – that is how phishing campaigns work; you think you are on your bank’s website, for instance, but in reality you are handing over your login details to a sophisticated copy. 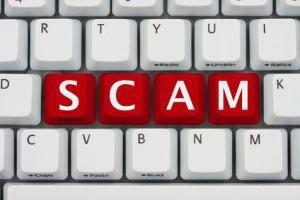 There is plenty of advice around – much produced by the banks themselves – on how to spot fraudulent sites. There is also a wide array of security software you can get to check that websites are above board and not taking part in any unethical practices. Yet, in spite of all the advice and protection, people are still falling victim to cranky sites which over promise and under deliver. Now, new research suggests a simple way many people can avoid being taken in by dubious websites. According to the researchers at UCLA, the part of our brain which helps us spot fraud tends to stop working well as we get older. This could explain why, for instance, that elderly people fall victim to doorstep fraud more than younger people – and also why the fraudsters target the older age group. For online users it means that as you get older you should take a bit more time to think about the offers being made on the websites you visit. Younger people will be much more able to spot the scammers and the fraudsters. But older generations will find that more troubling. The simple answer – as with so many other things online – is to take it more slowly. You don’t have to respond “this second” no matter what the website will suggest to you. When you visit websites making offers to sell you something, just think about your age. If you are older than you were last year, take a bit more time to make your decision…!